Markets available include ETFs, bonds, options, mutual funds and precious metals but stock trading is the area where they are preeminent. Continuous investment in platform architecture, customer service and research facilities is combined with very competitive pricing which makes Fidelity a very comprehensive one-stop-shop. Founded in 1946, Fidelity as grown to become one of the biggest broking platforms. The $2.5 trillion in assets under management is made up from traders in the US, Europe, Asia, the Middle East and South America. 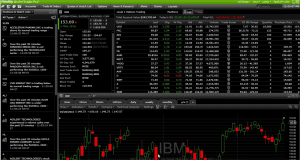 Investors looking for a more hands-off approach are also catered for with Fidelity offering traders to proprietary programming software and Robo trading accounts. The range and quality of the service offered make it a broker suitable for new and experienced traders alike and both will be attracted to the best in class grade regulatory structure. 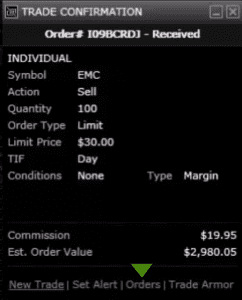 Fidelity has a long established reputation for providing low cost trading. As well as demonstrating a long term commitment to competitive pricing the schedule is also reassuringly transparent in nature and there are also no fees relating to opening or holding an account. 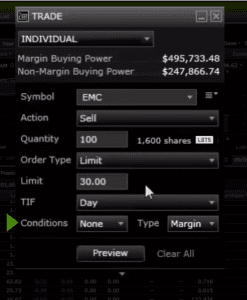 US clients paying a flat fee of $4.95 per stock trade. 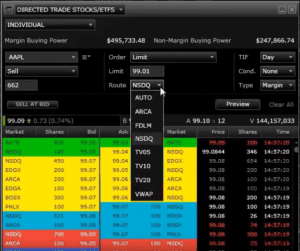 Option trade commissions of $4.95 + $0.65 per contract. 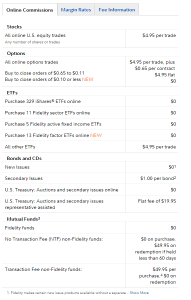 Commission free trading on over 350 ETF names and 3,500 No Transaction Fee (NTF) Funds. 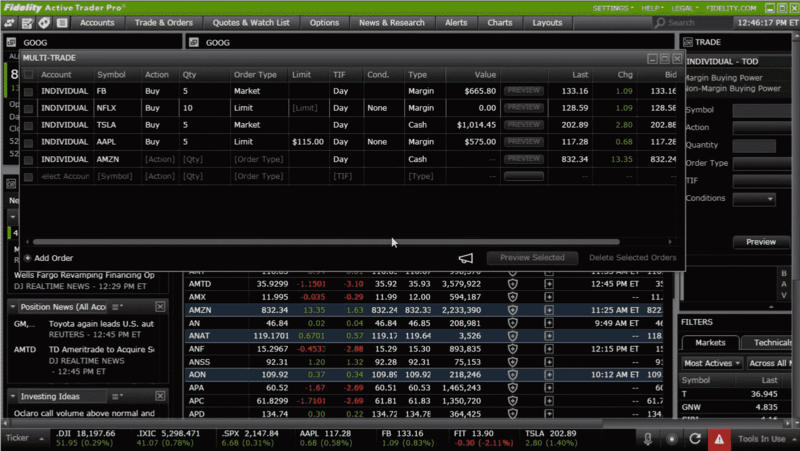 Market beating Bond and CD commissions including commission free online trading of US Treasuries. Commission free and no minimum holding requirement on a range of high pedigree Mutual Funds such as Large Cap Index Fund. Those mutual funds that do apply charges do so only on the buy leg. The $49.95 charge effectively covering redemption processing fees as well. 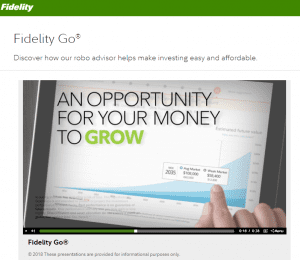 Fidelity offers some services that other members of their peer group don’t. Broker assisted trades for example engage the assistance of Fidelity staff who can help with building more complex orders or offering a ‘four-eye’ check on a situation. This advice costs $32.95 and whilst not an insignificant amount, those trading lighter-touch programs can take comfort from the cost being allocated to the other users rather than being incorporated into generic fees. 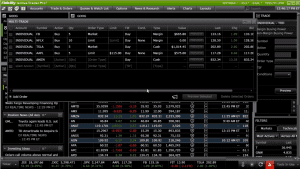 The Fidelity Active Trader Pro platform is one of the best in the market. 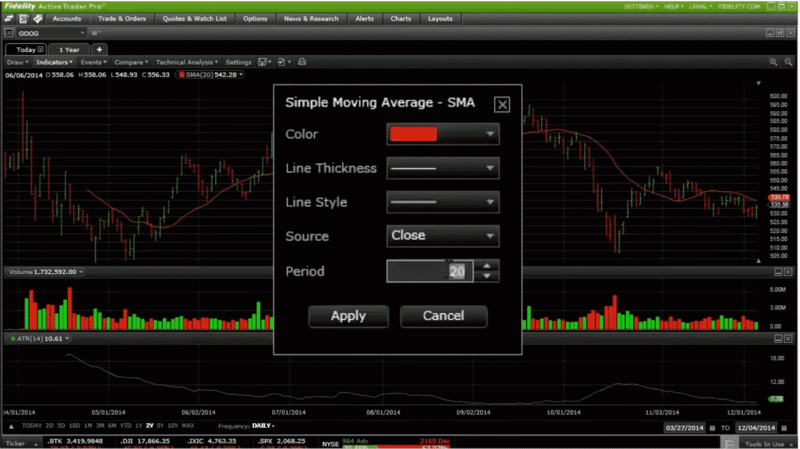 This proprietary piece of software has the feel of something specifically designed to help traders place winning trades and reflects Fidelity’s years of experience. 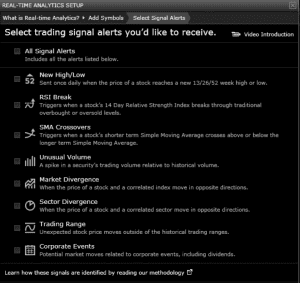 Active Trader Pro is available to all investors it caters to the novice and advanced trader. What is interesting is that the platform has so many levels of functionality that even the most advanced trader will find what they require is to hand. Whilst Active Trader Pro offers traders the chance to study the markets in granular detail it remains easy to navigate and is very user-friendly. 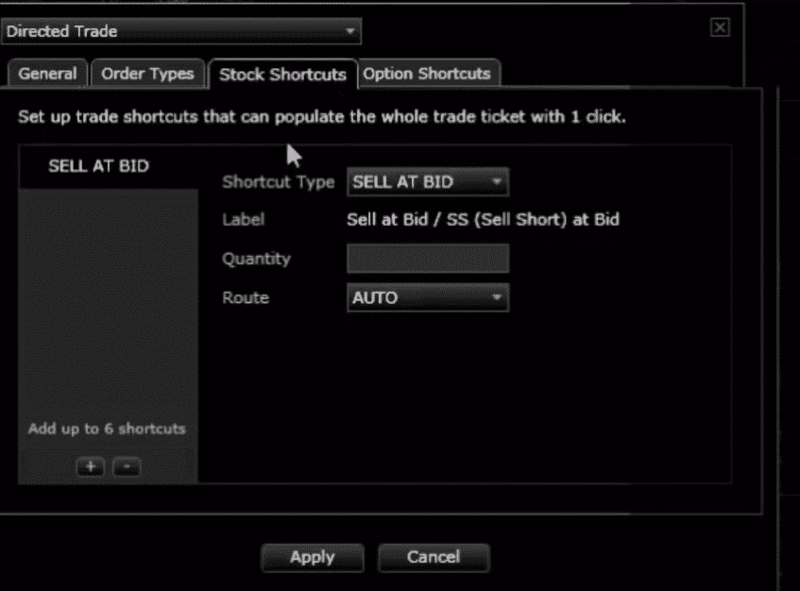 There are also a lot of neat features that support users as they navigate towards trade execution. 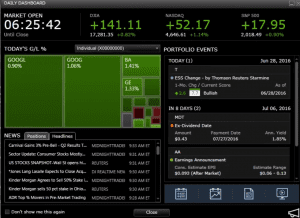 There are a range of template dashboards to choose from and the more experienced will enjoy the chance to customize the monitors and their layout. 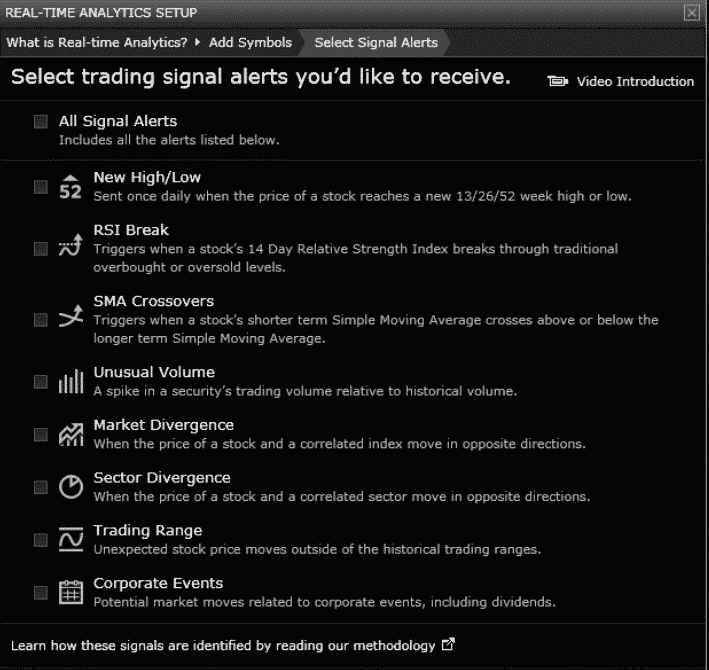 Price-alerts, watch lists, shortcuts, multi-ticket trading and order preview screens are all in place which make it incredibly easy to trade the markets. Traders that place in excess of 35 trades (in stocks, options or bonds) during a 12-month period gain access to the Fidelity Wealth Lab Pro platform. This is a great piece of software that allows analysis on an even deeper level. Traders with a systematic approach will be particularly keen to access this as it is particularly strong in terms of ‘back-testing’ analysis and even offers the option of automated trade execution. Fidelity offer one of the widest ranges of ways to contact customer support. The methods available range from: the tried and tested free-phone number, email, Live Chat messages, iMessage and Facebook Messenger and even on to Amazon Alexa. One stand out feature is that having close to 200 bricks and mortar offices across the US means traders can even speak with Fidelity staff face to face. During our testing the staff in the Fidelity customer services departments were in our experience, knowledgeable, efficient and exceptionally client-focused. Having such high quality assistance available on a 24/7 basis is quite a large positive for Fidelity. Going to the other end of the spectrum in terms of human interaction, even the Chat Bot at Fidelity appears to be more on the ball than those at other brokers. Research is an area where Fidelity stands out. In terms of quantity and quality its offering is at least a match, and often superior to, that of its peers. 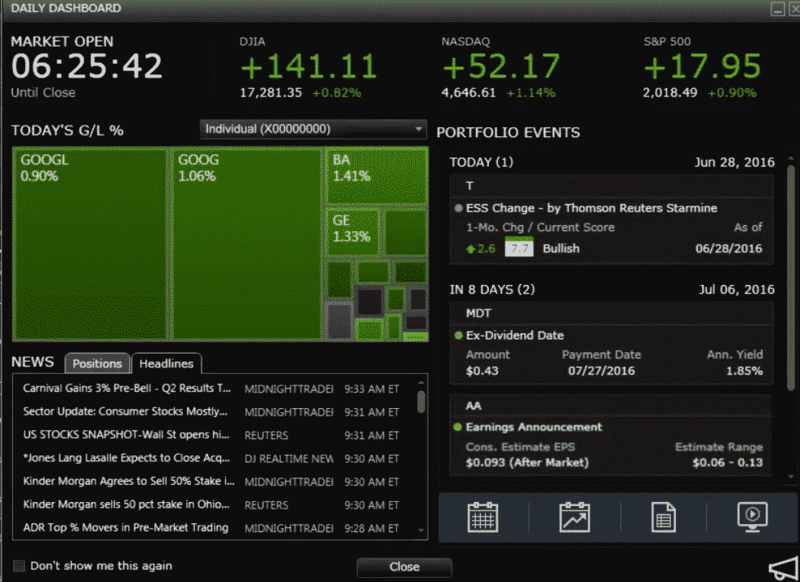 One tool, Thomson Reuters StarMine, allows investors to analyze the analysts. Those with a fundamental approach to investing will enjoy this tool that builds a track record of the effectiveness (or not) of the individual stock pickers. Those looking for a less filtered data set will benefit from the daily upgrade/downgrade notices downloaded from over a hundred research firms and shared with Fidelity users. In addition to the in-house research Fidelity traders also get access to stock reports and other research from twelve well respected third-party providers. 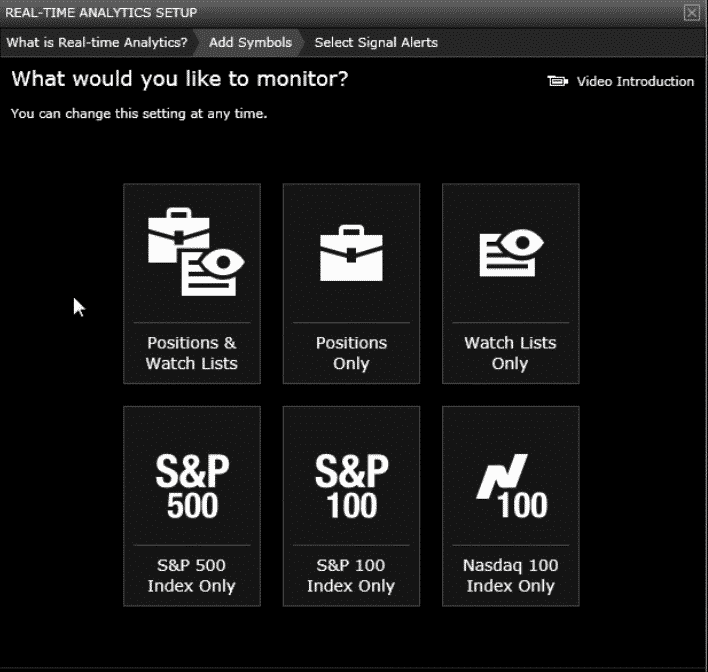 Monitors can be set up to screen and group stocks using a range of parameters, including but not limited to: yield, earnings and short interest. This might even start to look a bit overwhelming but Fidelity offer the ability for traders to filter the educational services according to preference. The literature, videos, webinars and courses can be thinned out to allow traders to quickly get to the topics they want to study. 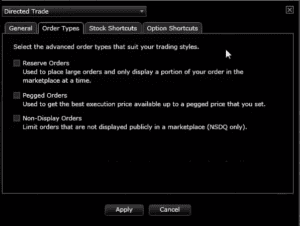 The material ranges from ‘how to use’ style features relating to the platform through to advanced option trading strategies. Along with written materials, Fidelity has created a range of webinars and videos to assist account holders who have a specific plan in mind, be it investing for their children or planning for retirement. Some of the research is investor/wealth orientated rather than trading focused. This isn’t an issue as the trading research itself is not diminished in either quality or quantity. Whilst different in nature items such as a Financial Check Up and Retirement Score are always worthy of attention; even if not necessarily for the individual involved but as a reminder of the considerations of the all-important long term investment market. Setting up a Fidelity account is straight forward enough. 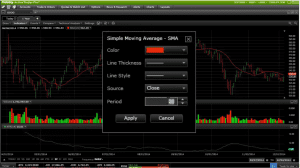 Reports on trading activity and portfolio positions are attractively laid out and easy to understand and the client account administration pages are equally easy to use. Trade execution can be done in seconds. 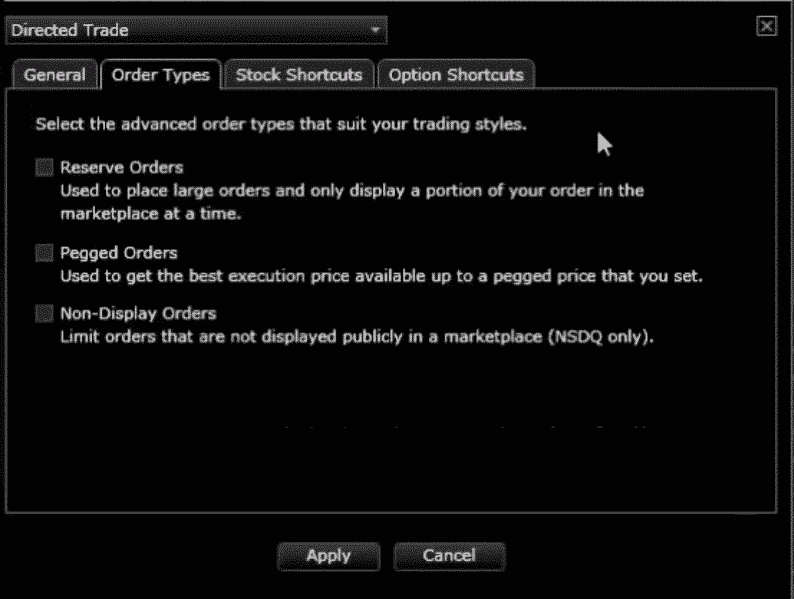 There are also a range of filters that can be applied to the trading monitor so that your specific preferences in terms of orders are saved into the system. There is a chance that the platform could appear daunting to an absolute beginner. They would benefit from researching the many, high quality ‘how it works’ videos that are provided. It’s not just the beginners however, that will benefit from the learning materials as the library goes on to offer tutorials on to advanced subjects such as how to book multi-leg trade tickets. 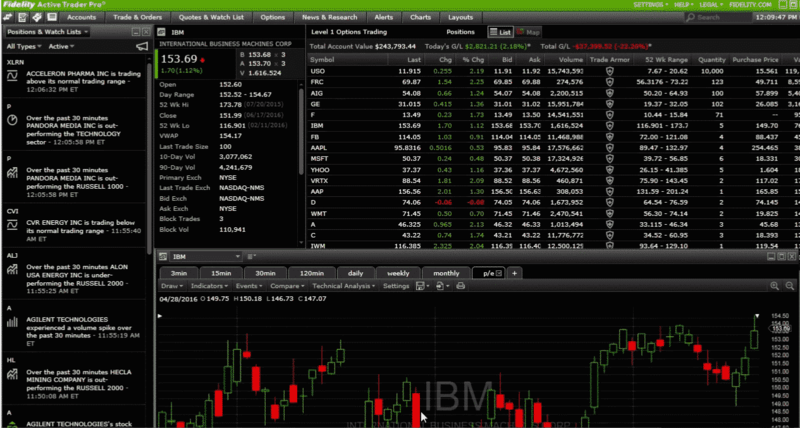 Regardless of experience levels, there is a range of dashboards that offer a good base for any days trading activity. 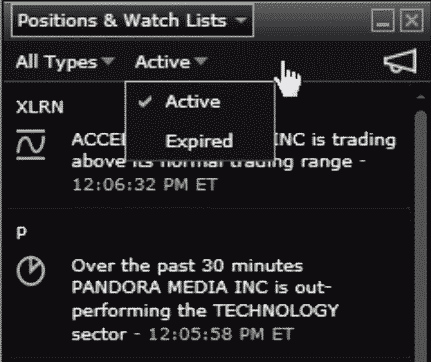 The daily dashboard, for example, provides the chance to take in research and news flow in the markets that matter to you. 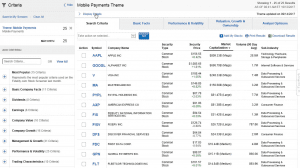 The Fidelity mobile app is a seamless extension of the web-based platform. Navigating using the app is a user friendly experience and allows access to the whole range of analysis tools needed to build a strategy but its not perfect. 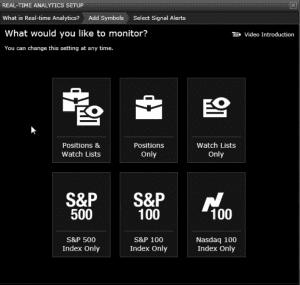 Account administration, watch lists, news feeds and analyst reports are easy to access and use but we did find some of the charting functionality, particularly the number of indicators available to be a bit lightweight. The screen layout is crisp and attractive and there is room to build your own personalized mobile dashboard. Notes and ideas posted to your mobile profile sync back to the desktop version as well thus ensuring ideas and inspiration gained when out and about are not mislaid. Fidelity Go allows traders to benefit from the advice of an automated advisor. 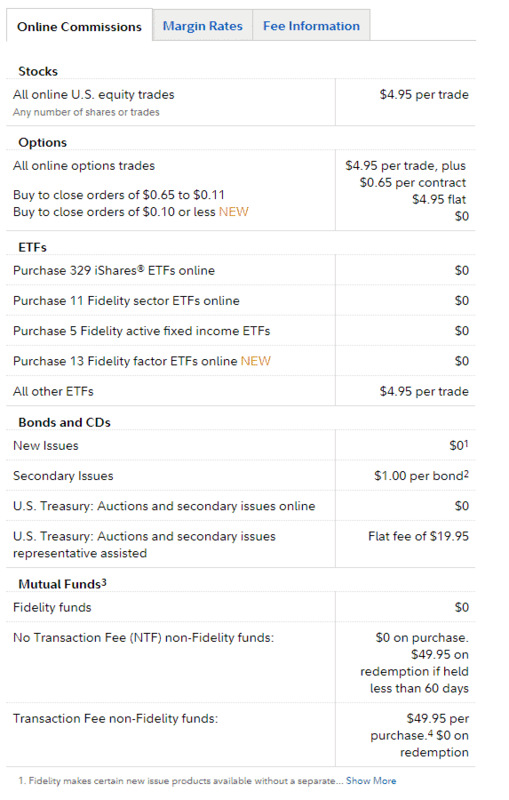 Accessing these Robo trading signals costs 0.35% of invested assets (annualized) and active trading is available to accounts as small as $10 in size. The small minimum size is a particularly considerate step which allows new users to explore the pros and cons of algorithm based trading. Those that are new to the concept will also benefit from the profiling carried out by Fidelity Go where a short series of questions allows the broker to assess user preferences and suggest strategies tailored to them. Finding a strategy that is a good fit is made easier by the provision of a wide range of strategies being available; each with a particular approach to market and instrument type and of course to risk-return. The hand-holding continues during the life-time of that investment via the provision of a website tool that will track progress, review activity and help with administrative tasks linked to the account. The fees associated with the service are transparent and in-line with the market. The service can be managed and monitored through desk top and mobile platforms and is presented in a clean and easy to use interface that will appeal to those looking to take some of the leg-work out of trading a portfolio. Fidelity has been trading for over 50 years, holds trillions of assets under management and is seen as a top brand name in the sector. It is privately owned and in the absence of shareholders has more autonomy over its investment plans and so appears as reliable as a broker could be. 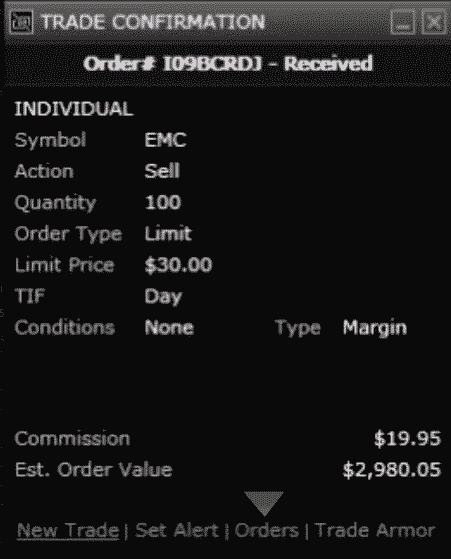 One grey area relates to FDIC Insurance at Fidelity. 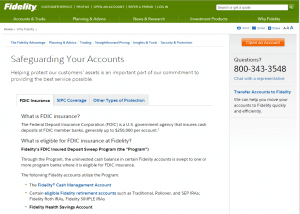 The Federal Deposit Insurance Corporation (FDIC) offers retail investors security in terms of asset protection by overseeing the funds deposited at a financial institution. As well as guaranteeing balances up to $250,000 the organization also ensures member firms follow a range of ‘best practice’ policies aimed at benefiting the account holders. 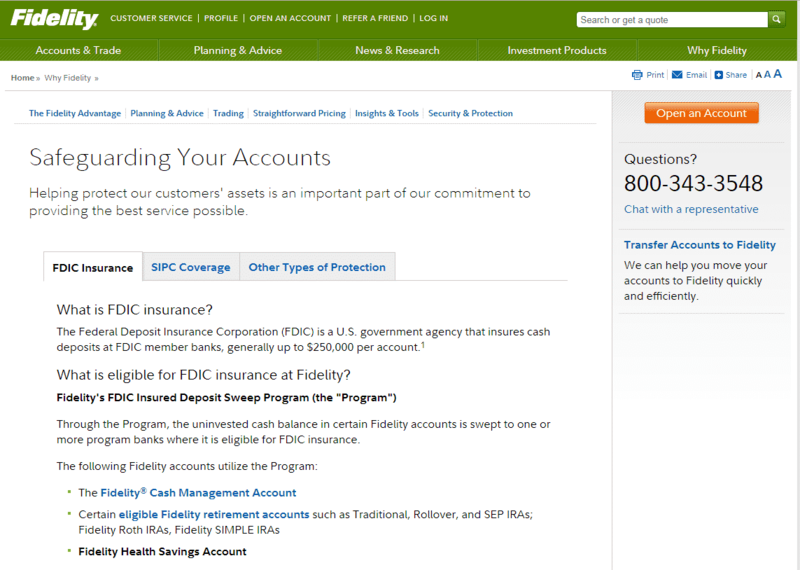 Fidelity are not members of the FDIC. Fidelity’s policy is clearly laid out here (https://www.fidelity.com/why-fidelity/safeguarding-your-accounts) and there is no suggestion that the safeguarding of client money is not taken as seriously as it ought to be. It engages in a process of ‘sweeping’ un-invested funds to FDIC member banks and as with all brokers individual traders would have to carry out full due diligence on any broker they are placing money with. Recognition of Fidelity’s strengths is fairly universal. Industry professionals and small account retail traders have for over 50 years been admiring the Fidelity service. The broker brings together in one place: a wealth of research tools, easy and extensive market access, great pricing, top level platforms and market leading grades of customer service. Through continuous investment and development, Fidelity has built a state of the art platform. 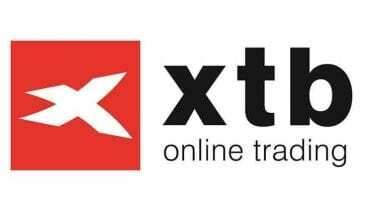 Traders can trade using the latest technological tools and research; or with a nod to the firm’s heritage arrange a face to face meeting with their broker. It really does look like the best of both worlds but the broker sector is a competitive place and the dynamic efforts of others in the space highlight some areas where Fidelity could improve. 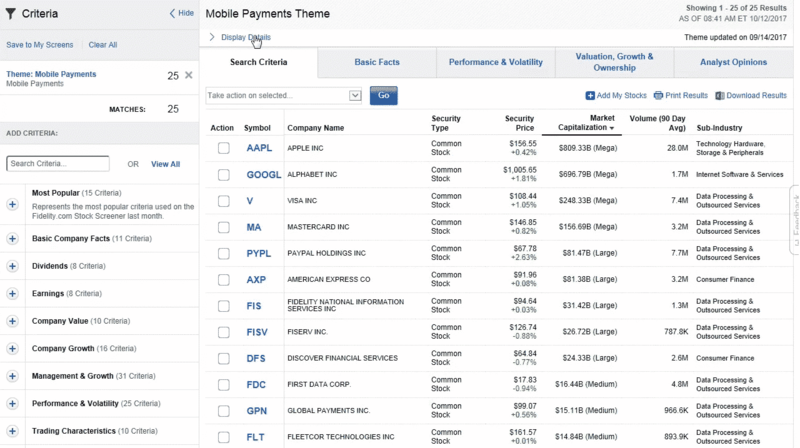 The mobile app for example, although perfectly fine, leans more towards investors rather than traders so rival apps that only support trading appear a little more streamlined. Considering the range and depth of the offering it’s clear to see that you have to look quite hard for weaknesses. The Fidelity broking experience is top grade. The quantity and quality of resources on offer reinforce a refreshingly straightforward pricing schedule. All in all, this means traders of all types are supported in their efforts to get on and make money. What is your experience with this broker? Important: You (the person writing the comment) are responsible for any comments you post and use this site in agreement with our Terms.